The Condor was designed as a transatlantic airliner for the German airline Deutsche Lufthansa. It first flew in prototype form during July 1937 and subsequently set up impressive record flights to New York and Tokyo, attracting export orders from Denmark, Brazil, Finland and Japan. The latter country ordered one aircraft for use as a long-range reconnaissance platform, and the resulting prototype attracted the attentions of the Luftwaffe, which put the aircraft into production. 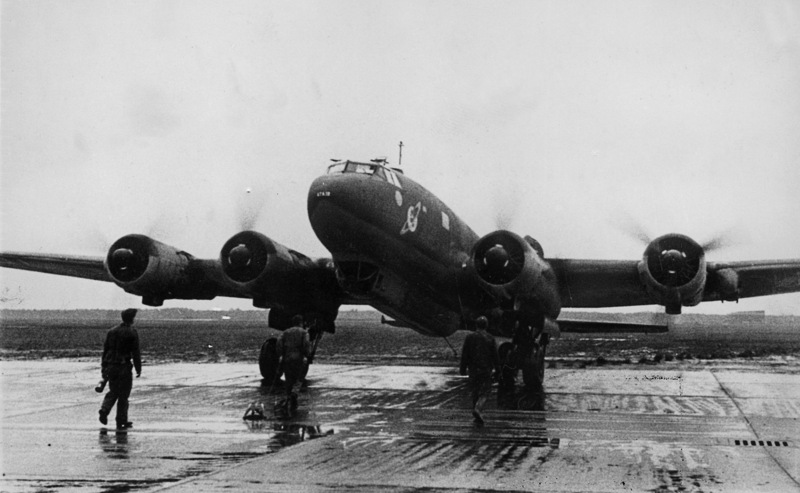 The first of 259 Fw 200C military aircraft entered service in September 1939, and after the capitulation of France in 1940 they flew from bases along the Atlantic coast, searching for Allied convoys in the North Atlantic and then either attacking them directly with bombs and missiles or vectoring in packs of German U-boats. So effective were they in this role that Prime Minister Churchill labelled the Condor “the scourge of the Atlantic”. A few aircraft were used as VIP transports (notably by Hitler and Himmler), but the majority of the machines were long-range reconnaissance bombers in seven sub-variants, some of which spawned their own sub-variants with different armament-fits, radar-fits and provision for missile-carriage and -guidance, as well as stripped-down forms for special transport tasks.